In honor of World Usability Day, Brightfind teamed up with Discovery Education to hold the World Usability Summit. While my UX colleague Nina Amato and I were honored to present, I must admit, we were nervous to speak after Discovery Education and before Nielsen Norman. Being nestled in-between two huge names in the usability field is intimidating! Luckily, we were able to overcome our anxieties because we knew we were speaking about an important topic. A topic we are passionate about. A topic that, in our minds, can’t be discussed enough—accessibility. We presented how to Reach 20% More Constituents by Using Inclusive Design and Usability Techniques. We shared the statistics of persons living with disabilities, importance of accessibility, examples of accessibility issues, and why planning for accessibility needs to be thought of at the beginning of any project. We also shared three organizational strategies for promoting inclusivity—research, content, and implementation strategies. Methods for receiving direct feedback from your audience. Surveys are a great tool for quickly capturing data. Use them to locate specific types of users and to gather information about their needs. Invite users through email or through your website to participate in a brief survey. Learn how web visitors consume content by asking survey questions such as: Do you use a screen reader? Do you use a hearing aid? Do you navigate using a mouse? Do you read video captions? Two-way conversations allow you to get more details from your users by asking more questions. Focus groups enable group conversations among constituents to uncover common themes or patterns about their experience when visiting your website. Usability testing shows how a user interacts with a website or prototype and allows us to see the issues they may encounter. This gives your organization the ability uncover and address any usability issues before launching your website or product. 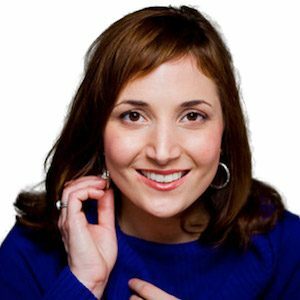 (Check out Discovery Education's World Usability Summit presentation to see the creative way they conduct usability testing!). Use the information you gathered from talking with (and most importantly listening to) your constituents to inform your content strategy. Currencies: Consider accepting multiple types of monetary currency, especially if your organization has global reach. Consider payment types such as Apple Pay, Zelle, and Venmo. Direct Paths: Consider the emotional state of your web visitors when they come to your site. Is a doctor nervous because she needs more credits in order to keep her license? Is a Dad frantically trying to learn more about how to help his child recently diagnosed with asthma? We all want constituents to sign up for our newsletter or order the latest book, but sometimes that offer is best consumed after your association has helped visitors find exactly what they need. Ask visitors what information they need quickly and provide a direct path to help them find it. Data & Analytics: When it comes to your content strategy, Google is your friend. Leverage Google tools such as Google Analytics and Google Trends. Search terms visitors typed into the search box on your website. Search queries people entered into Google to get to your website. Review Google Trends to find the top search terms people use to better learn what content people are seeking. Plan for accessibility at the beginning of the project, rather than after websites are built to avoid duplicate work and costly updates. Offer training to your web developers and talk to them about the importance of accessible Websites. Start by having them watch the webinar, Accessibility & 508 Compliance Explained, which will provide them with helpful hints for coding accessible websites. Avoid using “read more” links, they don’t provide context. Use article titles or other descriptive phrases instead because they will be read aloud to people using screen readers. Use color contrast for persons who are color-blind. Create touch points on tap-able items on a website that are the size of a fingertip. Use “skip navigation” techniques for users who navigate websites using a keyboard rather than a mouse. One in five Americans has a disability. Are those constituents able to fully navigate the content and resources on your website or must they go elsewhere? 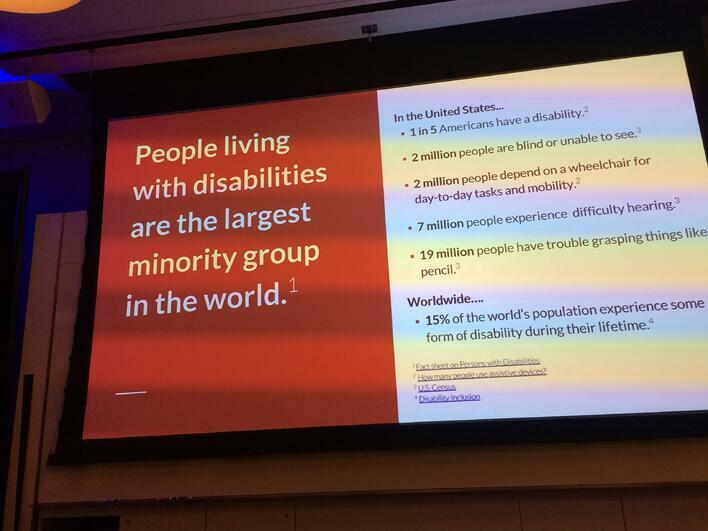 Check out the slides from Reach 20% More Constituents by Using Inclusive Design and Usability Techniques as well as other resources from the 2017 World Usability Summit to help make your websites usable and accessible for all.